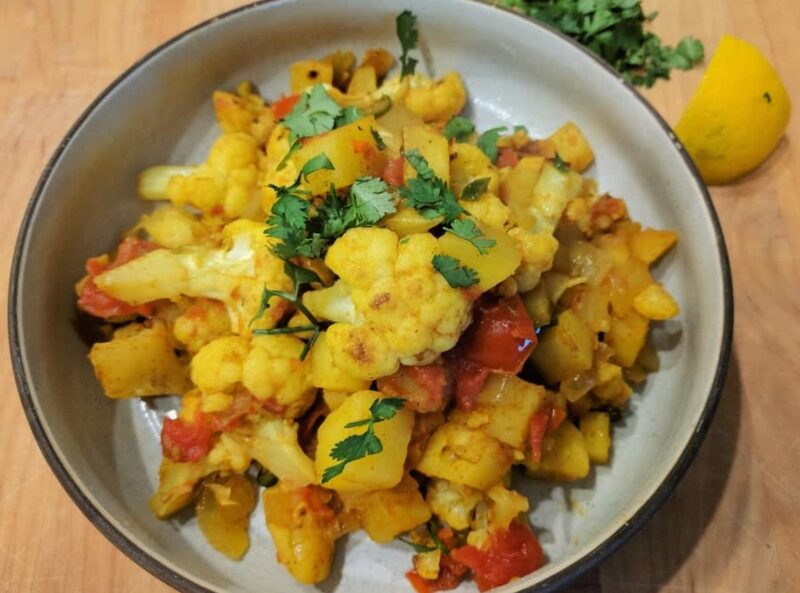 This Aloo Gobi recipe works extremely well as both a side and a main dish. The well cooked cauliflower does not turn into mush and the masala flavors really come through to provide a robust and flavorful Indian dish. When I choose to have this dish with rice, I typically start the rice cooker at step #5 to ensure that the rice is cooked around the time the dish finished cooking.